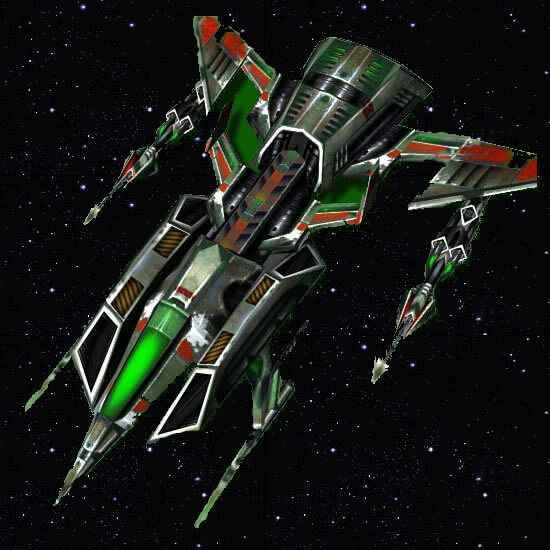 "Noxies" race special ship. This is the fastest war ship in the game. It has a good firepower and ship hull for its price, but it requires some gas for the building too. It has a relatively small cargo hold. Cargo: 300Attack: 1800Ship Hull: 20000Speed: 17500Gas consumption: 330Cost: Metal: 12750, 3400 Crystals, 850 Gas - this is the cost, considering the Noxis cheaper ships bonus.Weapon: Laser; Armor: 11% Light; Improvements in Factory: 7% per level.